We were the second ARPA group to grace the Schuss lodge and settle ourselves with the usual warm welcome from Chris. 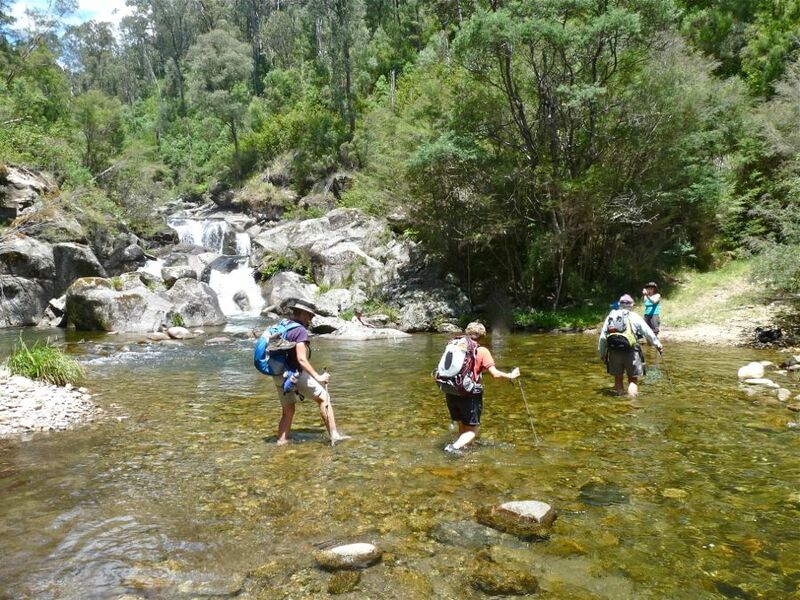 The facilities of the lodge are perfect accommodation for high country walking, and the mountains provide welcome relief from the heat of the plains. This camp was mostly B, C and D walkers. 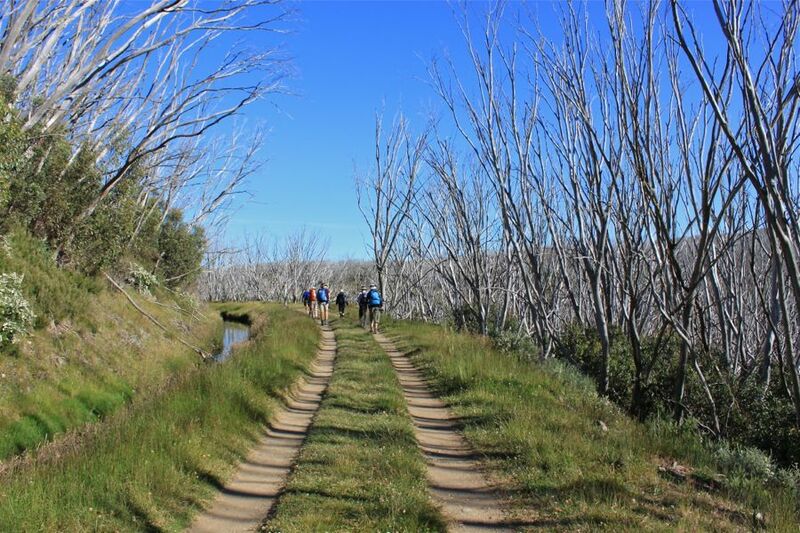 Our first morning was either a strenuous climb up Frying Pan Spur or a wander around the top of the ridge enjoying the ski runs (now looking lovely and green) and the delightful Wishing Well Track. 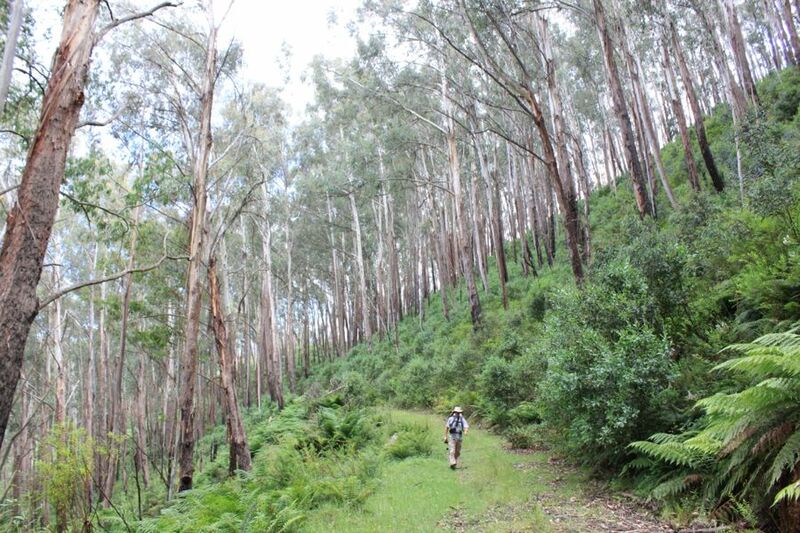 Day 2 took us up the beautiful Heathy Spur onto the Alpine Walking Track to veer either side and check out Johnston and Edmondson Huts nestled in their groves of Alpine Gums. Day 3 was a loop south of Falls Creek: Pretty Valley, open plateaus, a climb up to Mount Cope to lovely views and onto the aging Wallace hut with its two temporary chimney supports. 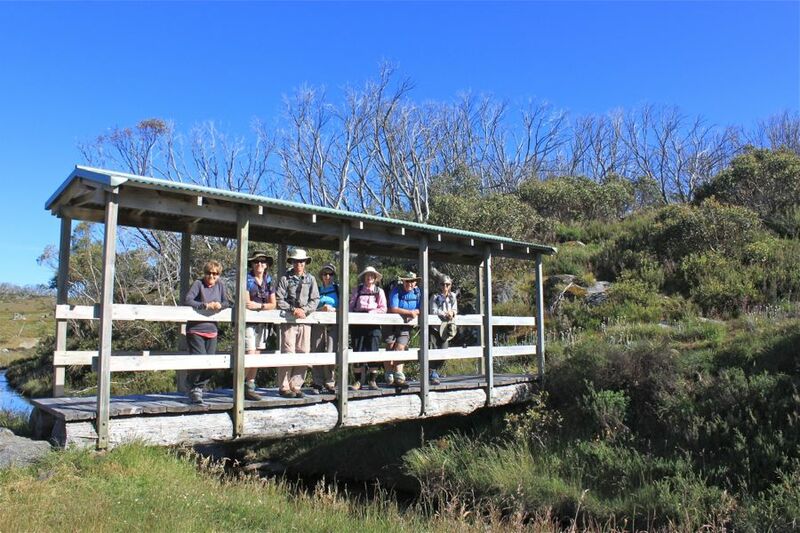 A rest day saw many taking it easy, exploring the village or driving further afield to Omeo or Mount Beauty. Then it was back to walking and the weather had cooled. We drove down the valley to Guy Lake where Bs had the very steep uphill then a long gentle downhill to a welcoming paddle to cross Rocky River. The remaining walkers enjoyed the scenery while circling the lake. 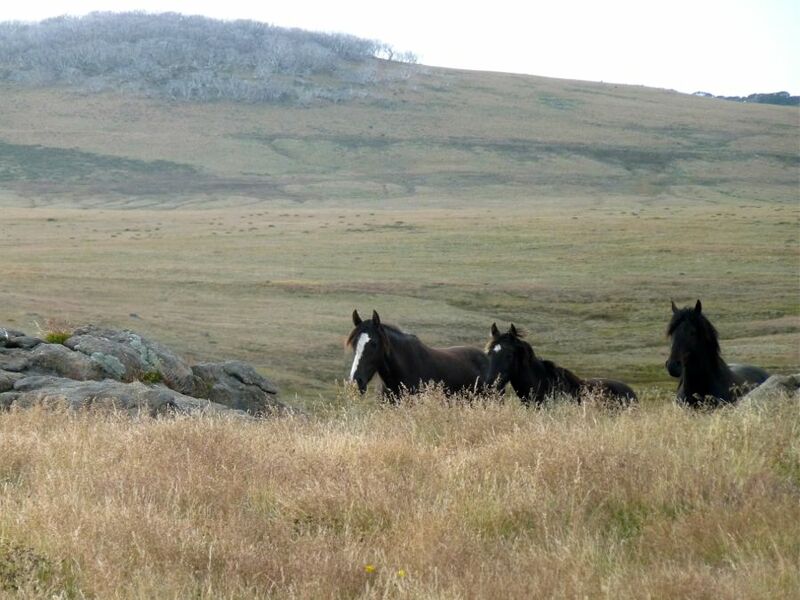 The 6th walking day saw us back a Pretty Valley pondage to steadlily climb past curious brumbies to either Mount Jim or to Tawonga huts. The clouds were low and rain soon settled in. However on our return to the vehicles by the lake we were able to have lunch in sunshine. The last day was to visit the historic Kelly and Fitzgerald huts. The regeneration of the vegetation since the 2003 bushfires is in stark contrast to the bleached stands of stunted skeleton trees. Couple this with the summer flowers and it made some beautiful photographic opportunities. 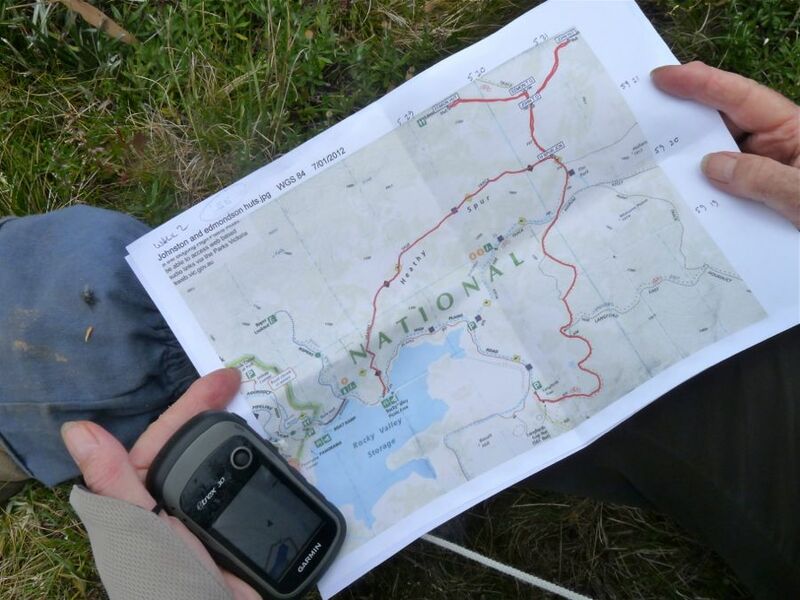 That, and the company of the shared enjoyment of walking together in such an environment was wonderfully rewarding. The shared BBQ and the restaurant dinner were also appreciated.